Shinjo Ito (1906-1989), founder of the Shinnyo-en stream of Buddhism, was one of Japan's most versatile Buddhist sculptors and an accomplished artist in fields as diverse as calligraphy and photography. He created artworks throughout his life as a way of giving form to his deeply held Buddhist faith - in 1957 producing his greatest milestone, a 16-foot (422 cm) long statue of Buddha Shakyamuni about to enter his final nirvana. 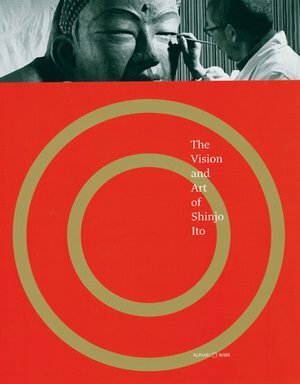 Through brilliant photography and insightful essays by religious art specialists, this book reveals Shinjo's extraordinary ability to meld spirituality and artistry - and realism and interpretation. Rarely seen by the general public, a selection of these works has now been featured in the large-scale exhibition, The Vision and Art of Shinjo Ito, which has been enjoyed by thousands since it began touring the world in 2006. This book is a complement to the exhibition, but much more than a catalogue, it is an inspirational testimony to one of Japan's most significant modern religious artists. In our global sociopolitical climate, in which conflicting belief systems continue aggressively and disastrously to misunderstand each other, the Buddhist approach to viewing religious artworks has a greater than personal relevance to Westerners. The commitment and effort required to see the art of Buddhism as religious art - that is, as a Buddhist might see it - can help create bridges spanning cultures and peoples. This beautiful book illuminates the theory and practice of viewing religious art. In religious practice, the viewer of a sacred object looks beyond the surface beauty to the religious vision reflected within. Of course, the works of Shinjo Ito can be admired for the artist's skill and the beauty of their execution. But Shinjo also created them to inspire and inform meditation and contemplation. "The Vision and Art of Shinjo Ito" provides a wealth of images that reflect universal beauty in its rich and varied forms, and cannot fail to remind viewers of the Buddha's calm compassion.